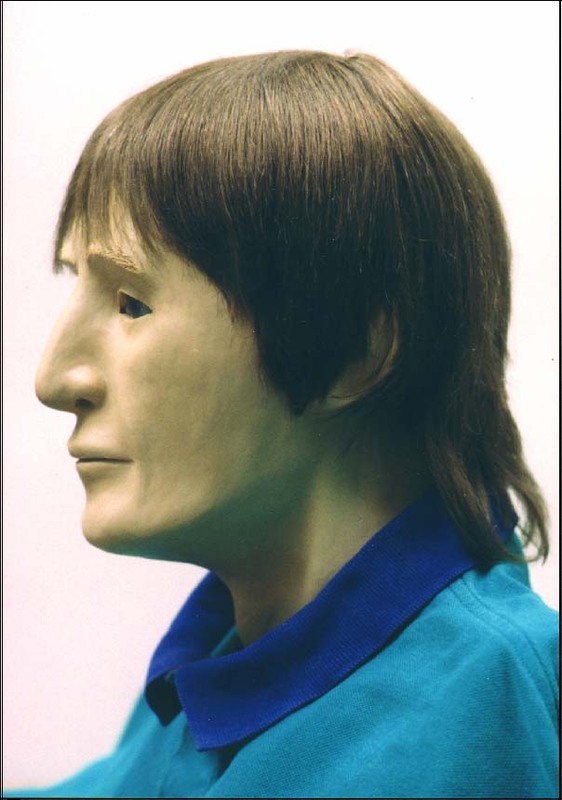 Artist’s three-dimensional rendering of what the man might have looked like. Police are asking for the public’s help in identifying the remains of a man found last year in the upper Opihikao area of Puna. The bones were excavated from a cinder cone on August 31, 1999, near the Waokele Forest Reserve. The remains included a skull, partial dental plate and socks containing bones. A forensic pathologist examined the bones and found no sign of foul play. 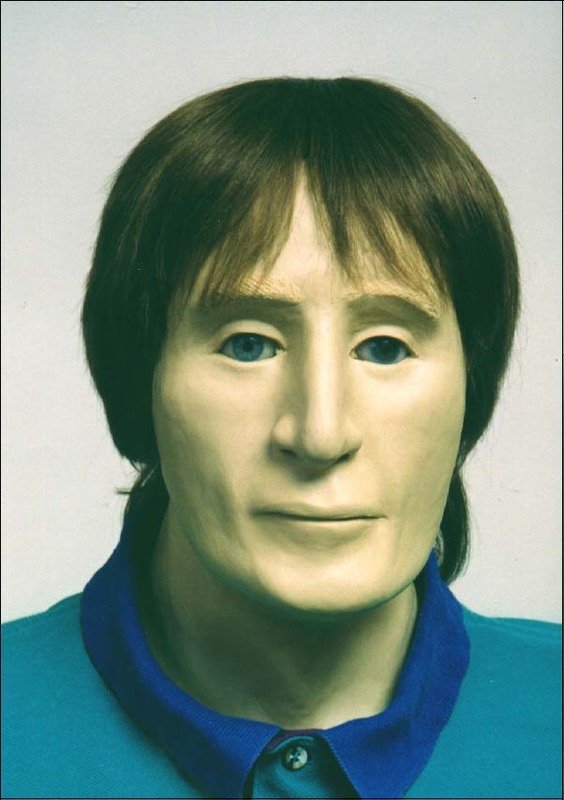 Next, a forensic anthropologist examined the bones and determined that the remains are those of a Caucasian male 35-45 years old at the time of his death. The man’s height was estimated at 5-feet-6. The skull’s upper jaw was completely without teeth, and a recovered denture plate indicates the individual wore dentures for most of his adult life. Police have screened the man’s description against those of missing persons, but no matches have been found. The area in which the remains were found is located in an area bordering on the reserve. The land was purchased in 1995, and a former public access road in the area was sealed. Anyone with information about the possible identification of the man is asked to call Detective Glenn Uehana of the Criminal Investigation Section at (808) 961-2386.